One of the most important factors of any design scheme is budget. We all want a high-end look, but we don't always have the $$ to spend, especially on non-functional decor. The best & most creative designers are those who can exceed a client's expectations no matter how restrictive a budget may be. If you don't have the money to wallpaper an entire room, one technique I love is to frame wallpaper. Framing wallpaper rather than papering an entire wall allows you to incorporate a bold pattern you love on a smaller scale. 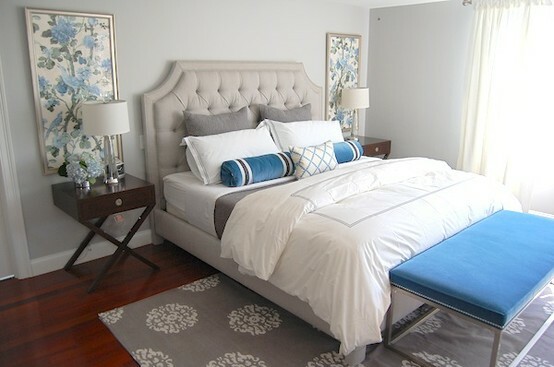 Paneling the same pattern three times and grouping it gives continuity and flow to the space. It also acts as artwork! One thing that seems to give people a lot of trouble is picking artwork for their homes. 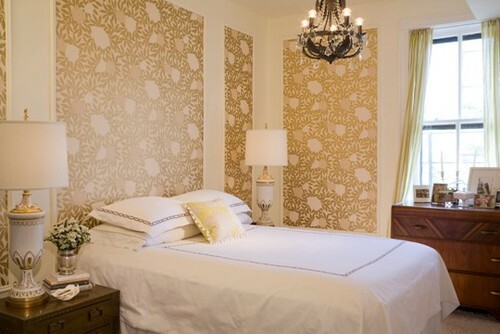 If your budget is very limited, or if you only want to add a dash of pattern to your space, use wallpaper as artwork! Frame it and you have an instant canvas. 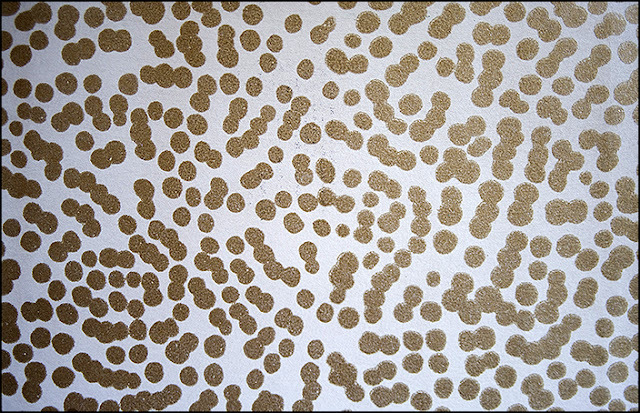 I think I'm going to buy a few rolls of this hand-painted Anya Larkin wallpaper and frame them. Delicious, no?! Would you incorporate this look in to your own home? this is fab, such a great idea - I will be doing this for sure!! I love this look! 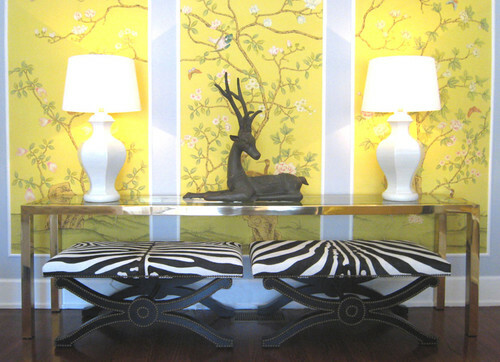 There are some wallpapers I absolutely LOVE but could never afford to do a whole room in. Its a great idea! great, affordable idea! i love the Anya Larkin wallpaper! Yes! Love this especially since taking down wall paper is one of my least favorite things. I have helped take it down in almost every room in my parents' home. And if I can't find wallpaper, I wouldn't mind framing some wrapping paper! This is SUCH a chic concept. Love it. Absolutely! This creates such an inviting parlor feel. LOVE this. talk about bang for your buck! Love this idea! These are all so pretty! I love the beautifully classic look of framed wallpaper...it's such a wonderful idea! Absolutely I would!! I love the look! You have a great round-up here. Also, if you move and you have your framed wallpaper....it moves with you! So your investment has an even greater return! 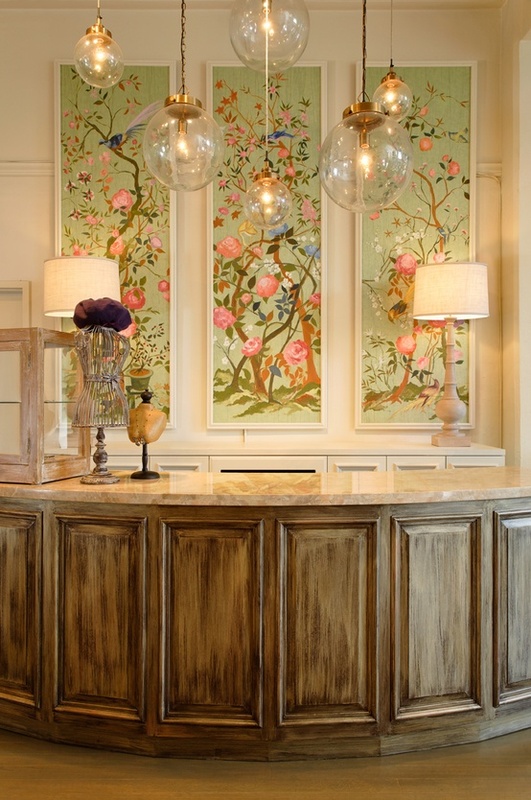 I love wallpaper, but it is a lot of work.. Love the idea of putting it into a panel! Great post! Love this idea!! I actually really appreciate it as there are so many gorgeous wallpapers out there I'd love to use, but since I'm living in a leased townhouse, can't actually install. Love the compromise of simply framing some-- all of the payoff of the pattern without the commitment! This is such a gorgeous way to add a pretty accent to a room. Love it! Absolutely love this look! You're right, it's a cost effective and GREAT way to bring a unique look to any room. That Anya paper is amazing!! I would love it! I did incorporate this idea into my bedroom and we've been really happy with it.